Imagine a place where you can view all promotions happening or with a few clicks… you get to see if your favourite restaurant or that digital gadget you have been eyeing is having a promotion? The answer to this… ‘Save22’. A Brief Introduction: Save22 allows you to window shop leading retailers in Singapore before you go shopping! If you stay in the Philippines or Malaysia, they have it too! What’s more! The site is kept updated with comprehensive pricing, promotions and sales updated on a daily basis! You will be able to browse and search for products and promotions from your favourite retailers! We spoke to the Co-Founder/CEO, Mr Shen Guyi and one of the Pioneer Employees, Mr Lope Emano (Software Engineer) on the initial stage of Save22. 1) What went through your initial thought process on forming your initial core team? How did you go about attracting your core team member? If there were challenges faced, please elaborate. I like to hire people who have something to prove, and they see Save22 as a vehicle to prove something. For example, people who thought they had much bigger talents than their current roles are giving them, or people who were told they can’t do something. People like to jump onboard a moving train, the best thing you can do to attract people is to be going places and going quickly, the fact that we were Asia’s most valuable app 2011, and the amount of PR we’ve gotten have definitely helped on the recruiting front. 2) What were your initial plans for these pioneer employees when they first joined you? How is the execution differ from you initial plans, and in what ways? In a startup, there is always a dichotomy between picking generalists vs picking specialists. Given the nature of startups, things are moving quickly and what you think you need today could change tomorrow. For example, we’ve made major pivots from being primarily mobile based to primarily web based product. So the way most team members work is that they have a deep core skill but also have a breadth of auxiliary skills that they can apply across different projects. 3) What will you advise to budding founders if they are looking to form/hire their initial core team? I think it’s similar to dating, as a founder, be someone that people would like to work with. In an early stage startup, it comes down to whether the early stage team members trust the founder. Mr Lope Emano, a Software Engineeer at Save22. 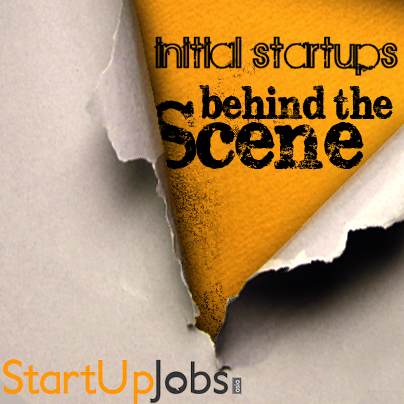 1) What make you join a Startup in full-time employment? I used to work for an outsourcing company as an Android Developer. I was benched for most of the time and I wanted to be involved in an Android project. 2) Being one of the pioneer team member, what are the kind of initial challenges faced? Process. The whole company was still trying to figure out what works. I was there when there was just about no culture and the process for planning, releasing features, fixing bugs and all that was still a mess. Everything was a mess. The best part would be seeing the before and after. You get to see the changes in culture and process and feel the full effect. It’s very rewarding feeling, I’d say. 3) Has your role differ from when you first join? If yes, please elaborate. Yeap. I was hired as an android developer initially, now I do backend(python django). One day, one of the founders just asked me to plug in some templates, css here and there but eventually I ended up going deeper in the stack. After some time, the company pivoted and didn’t need an android app anymore so before I realized it, I was a web/backend developer full time. 4) Challenges are inevitable in a startup environment. Prior to joining Save22, are you ready for these challenges? Or did you know what you might have to face? Naah, I am the kind of guy that went on ahead. I was desperate for a project and I knew that there was a ton of stuff that the company was offering. The founders kept on name dropping cool stuff like jenkins and machine learning and all that. I pretty much got super excited and went on ahead. Although the CI(jenkins) server isn’t being used yet and the machine learning stuff never made it to prod, the whole experience of being able to dream, think of new things and having little to no red tape in executing them really made me flourish as an engineer. Startup Jobs Asia’s next interview will be revealed soon! Stay tuned!